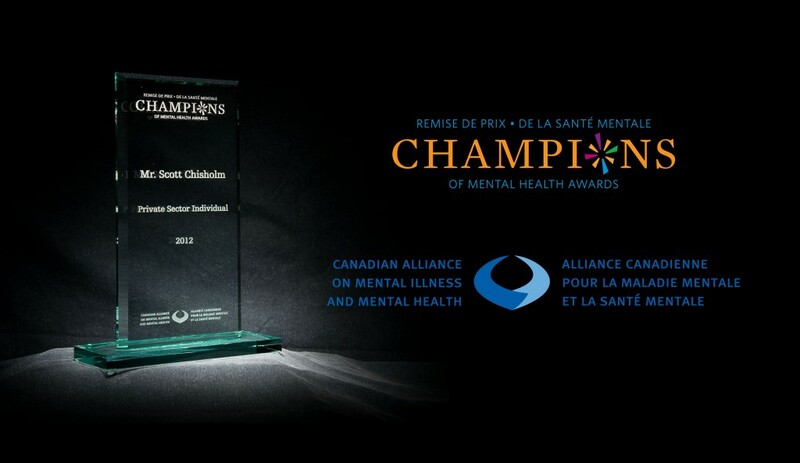 The ‘Champions of Mental Health Awards’ were held on Monday May 7th in Ottawa. It has been a humbling experience for me to be named alongside; Senator W. David Angus, Q.C., Ad. E, Dr Trang Dao, Michael Landsberg and the Cardinal Newman Peer Mentors, Stoney Creek, Ontario. 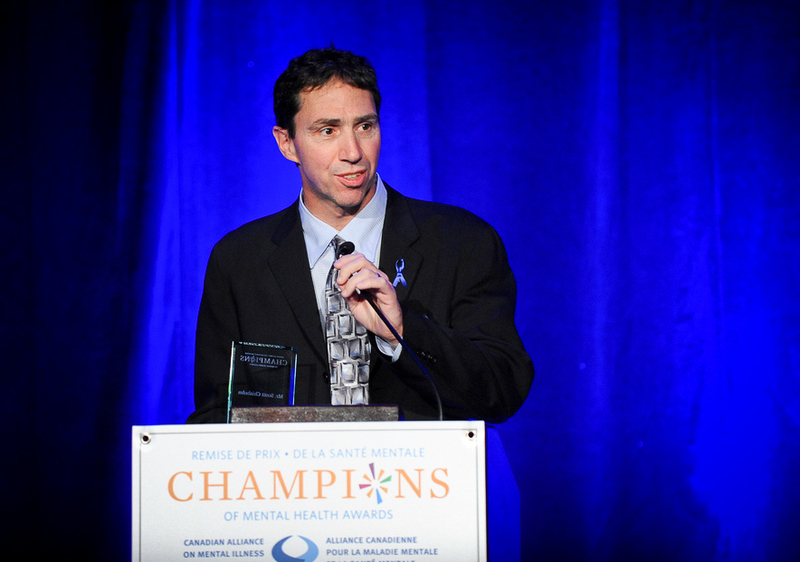 For me, this award acknowledges the need for us to continue in creating a proactive dialogue on suicide. Further, this award gives me great confidence that the images and stories of those who have lost loved ones and friends to suicide are creating a welcoming dialogue on such a difficult subject. This award does not belong to me alone. I believe strongly that this award belongs to so many people. Firstly, to all those who have come forward to share their story of losing a loved one or friend to suicide, this award belongs to you. To our Board of Directors and Advisory Team, this award belongs to you. To my family, you have travelled this road by my side and this award should certainly bear your names. I challenge and invite each and everyone of you to begin and invite the conversation on suicide and mental health. We know that it takes a big step and courage to start the conversation. We also know that when it starts, all those around you will join in. Presented by the Canadian Alliance for Mental Illness and Mental Health as part of the kick off to Mental Illness Awareness Week. 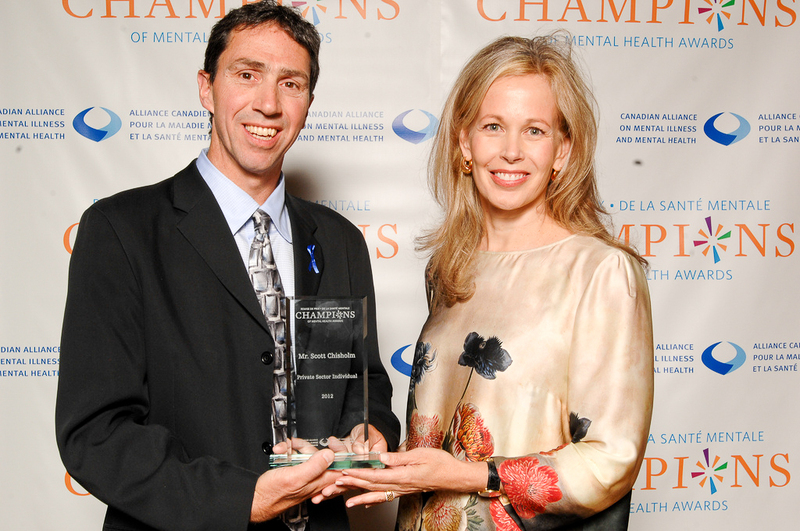 The Champions Awards Gala is one of Ottawa’s premiere social and advocacy events, which brings together political decision makers, business leaders, members of the national media, sponsors and other stakeholders to celebrate individuals and organizations whose outstanding contributions have advanced the mental health agenda in Canada. Each year, this event, organized by the Canadian Alliance on Mental Illness and Mental Health (CAMIMH), recognizes exceptional Canadians who have made outstanding contributions to the field of mental health and to the awareness of mental illness in Canada over the past year. Not talking about it isn’t working. Join us, as we begin the dialogue. Scott Chisholm, Founder of the Collateral Damage Project. Bravo to those who help us talk about this! Thank you for your courage to share. I wish each winner and their families peace and healing in their journey forward.